Incredible Memphis Wholesale opportunity. Pick up a wholesale property in a great rental area of Memphis today! 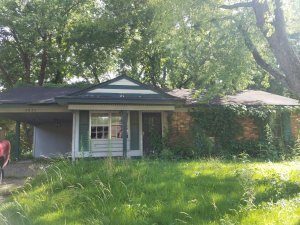 This Memphis wholesale property features 3 bedrooms, 1 baths, in a strong rental neighborhood. Buy & Hold – Put a little work into this property and add it to your retirement portfolio. –	The current estimated rent range is $775 – $800 per month with a annual return on investment of 15.25% . The estimated rental repair is $5,000. Purchase the property wholesale and either repair it yourself or let us handle the details. Either way, you save thousands and get a property that will boost your rental portfolio. As an added bonus, we currently have a waiting list of qualified tenants for your approval. Fix & Flip – If you’re looking to increase your capital for future deals, this one will help get you there. Lease Purchase – The area makes this property a great candidate for your lease purchase buyers. minor rehab needed. Great rental area.